January 14, 2012 January 16, 2012 cooksomethingrva! Although I have made Sushi a few times before, I am so glad I did a little research and a little chatting about a few secrets to making really good sushi!! I wanted focused on a few keys things, good rice, good grades of fish, uniform slices of veggies, and a good sharp knife. For tonight’s sushi, I am making 5 rolls. My sweet husband and I have chosen tuna, salmon and imitation crab meat. 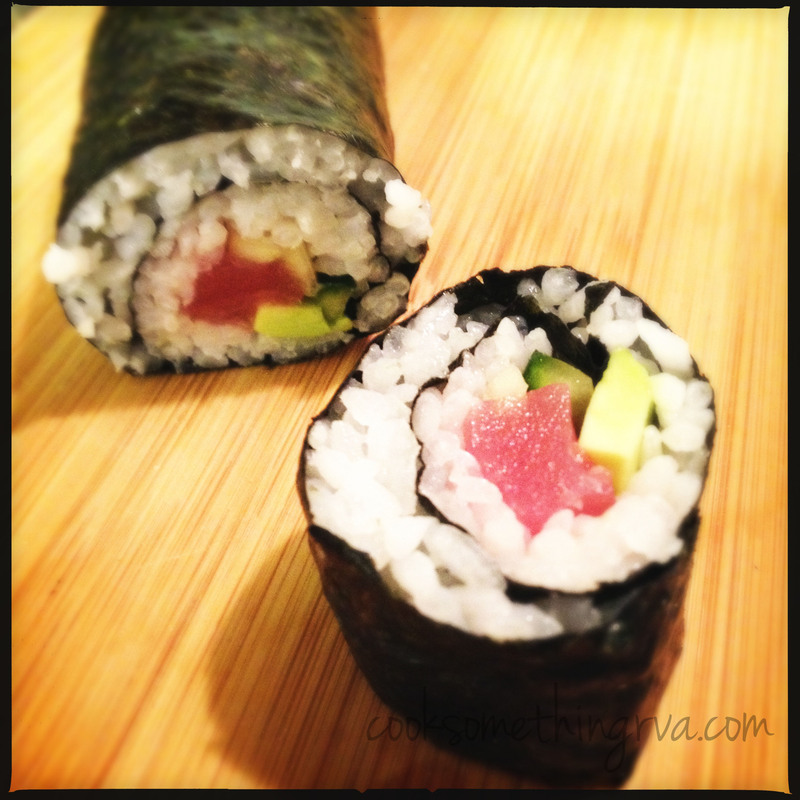 Tuna will be used to make both a spicy tuna roll and a regular tuna roll. Salmon will be used for a salmon roll. And of course, the California roll calls for the imitation crab.